Over time if you are not conducting siding cleaning, the outside of your home will likely look unsightly, particularly when you live in a tree filled area. Pollen, dirt from leaves, moisture and other elements blowing around in the air gather together on your siding to create a mix of mold and algae that detracts from your curb appeal. This is especially true of area on the sides of your home that do not get a great deal of sun exposure. The shade contributes to the petri dish environment in which this growth takes place, but when you conduct siding cleaning you can significantly reduce the effects that dirt and shaded areas have on your siding. Naperville Gutter Pros use state of the art siding cleaning methods to remove mold, dirt and algae that ensure the integrity of your siding. Siding cleaning can greatly reduce your need for expensive repairs by removing dirt, mold and algae that over time can severely damage the integrity of the outside of your home. Over time, issue like moisture are able to penetrate into your home’s interior from the outside and cause significant structural damages that can costs you thousands of dollars in resources. Moisture from mold and mildew also cause premature aging of your home’s exterior and it is a invitation for pest infestations and rot. Don’t leave your siding vulnerable to these issues when you can conduct siding cleaning that is top rated and intended to ensure the safety of your home and prevent future damage. When you conduct lawn care with chemicals you may be exposing your siding to early deterioration. This is also the case when defecation from pests like birds and rodents are left on your siding for long periods of time. When your siding is exposed to these elements long term you are causing premature aging but with siding cleaning you can remove pollution and protect the structural integrity of your home. 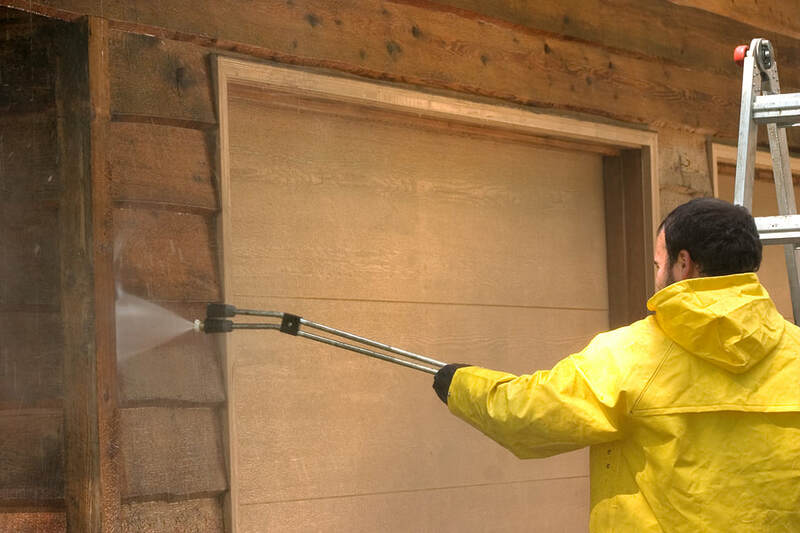 Naperville Gutter Pros uses the latest power washing equipment that removes elements like dirt, grime and excrement from your home’s siding as well as chemicals that hang in the air to ensure that your curb appeal remains intact and your structure is able to withstand normal wear and tear. Perhaps you do have a lot of leisure time but do you want to spend it with a scrub brush and hose cleaning your siding. This is a procedure that can take countless hours. If you’re conducting it as an amateur, it will likely take you days to finish the job properly. But when you call upon our professional services, we quickly and efficiently provide you with siding that is restored to its former beauty and free your time to move on to other matters of life. Few of us picture a week of scrubbing and hosing our siding to get rid of mold and algae and when you hire us, you will gain freedom from this tedious task. Siding cleaning doesn’t have to be time consuming, tedious or expensive when you call the professionals of Naperville Gutter Pros. Our enterprise uses the latest techniques to clean your siding and free it from damaging dirt, mold and algae that can so easily result in spending thousands of dollars in repair costs. We have the knowledge, skill and state of art equipment to get the job done fast and with affordable pricing.